The Murraylands is an area with a rich sporting tradition. 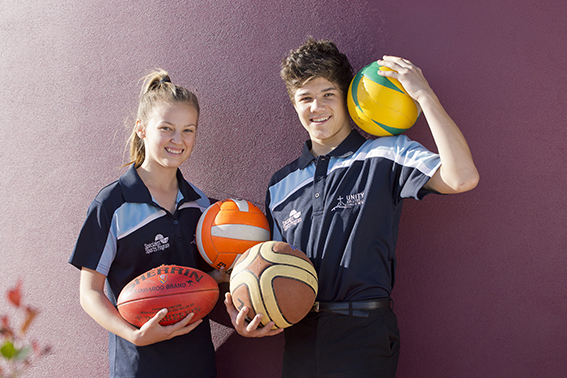 The Specialist Sports Program at Unity College has been established to assist talented student athletes achieve at the highest levels of performance in their chosen sport and to help develop their educational, emotional and social wellbeing. The program also provides structures and processes to support students accessing a range of post school options. The Specialist Sports Program is a 4 year course with a specific focus on the sports of Netball for girls, Football for boys and Basketball, Cricket and Athletics for both genders. Other sports may be considered by negotiation. It also incorporates SAASTA for Indigenous students. Entry to the Specialist Sports Program is via application. For more information or an application form, contact Mr Josh Hein, Specialist Sport Program Director.